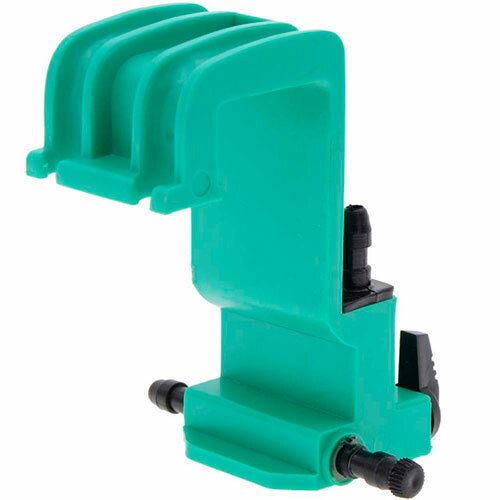 Gang Valve – A Single Fitting to Split & Control Your Airline! Most aquarium air pumps only have enough nozzles to run one or two airline tubes. As you are no doubt aware, one airline will run one piece of air-powered equipment, such as an airstone or a sponge filter. But what happens if you want to run three…four…or even more airstones from the same air pump? This is particularly a problem for those of you who want to set up multiple tanks. What is an aquarium gang valve? What are the different types of gang valves? Which are the best gang valves? Think of a gang valve as a traffic controller, directing air to anywhere that it is needed. Not only does the gang valve direct air to as many different tubes as required, but it also controls the rate at which air can flow through each tube. And best of all, a gang valve is one single airline fitting! 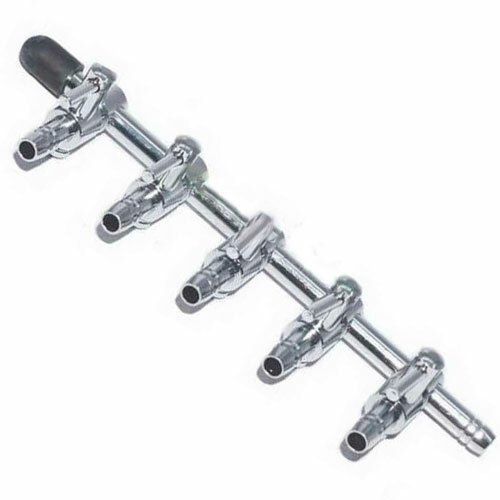 To achieve the same effect with other airline fittings, you would need multiple airline connectors and airline control valves across each airline. While this setup can achieve the same effect as a gang valve, it introduces multiple joints into your airline tubing. And, each joint increases the chance of air leaks. A gang valve simplifies the entire process. Important: While a gang valve may allow you to branch off airline tubing, the attached airstones may not operate properly if your air pump is not strong enough to drive multiple pieces of aquarium equipment. 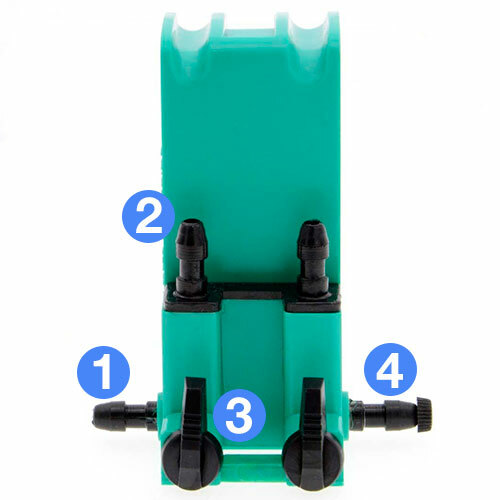 Like all airline fittings, it’s a pretty simple design and consists of four major parts. This is where you connect the airline tubing that runs from your air pump. This is where you connect the airline tubing that runs to your aquarium equipment, such as an airstone. These dials control the airflow. Each outflow nozzle has its own dial, allowing you to independently control each piece of air-powered equipment connected to the gang valve. Some brands of gang valves have a connector. This allows you to split an extra piece of airline tubing from the gang valve, in case you need to run extra equipment. 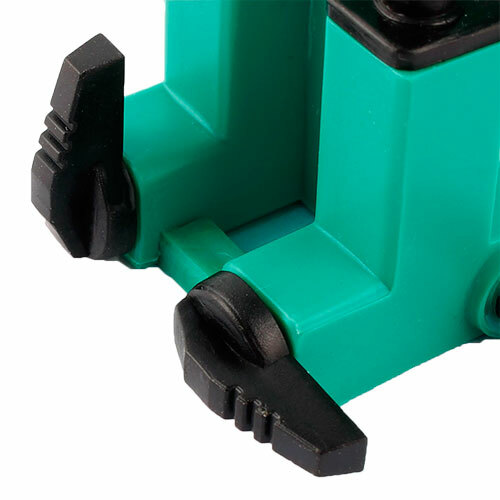 When not in use, the connector will have a plastic plug inserted to prevent air from leaking. Please note that you cannot control the airflow that comes from the connector. 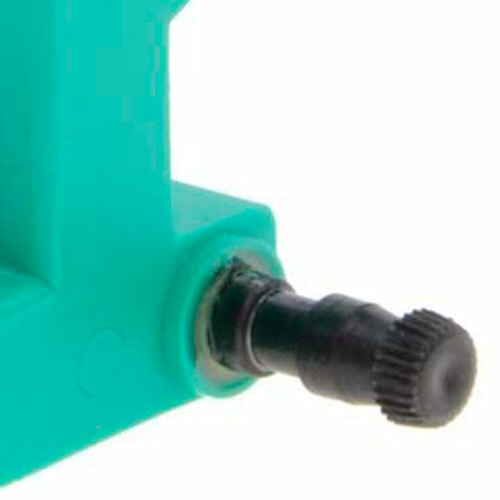 If you look at the rear of the gang valve, you see a hook that allows you to hang the fitting on the edge of your aquarium. 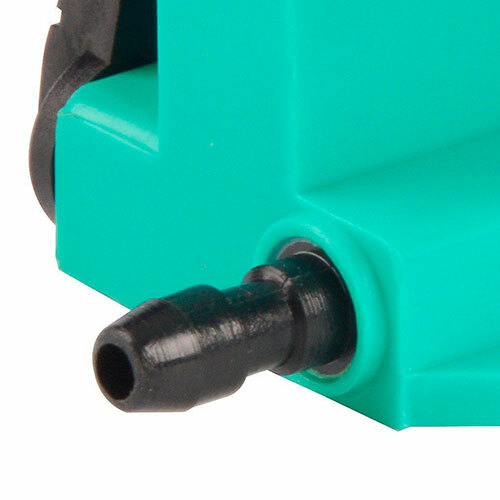 Doing so allows you to keep the airline tubing in an easy-to-access spot – handy for removing the tubing during tank maintenance. Note: Even with a gang valve installed, you need to install a check valve on your aquarium – a safety measure to prevent water being siphoned out of your aquarium in the event that the pump or airline fails. What are the types of gang valves? Gang valves are categorized by the number of airline tubes that can be split from the valve, which is determined by the number of nozzles. If you plan on expanding or upgrading your tank in the future, I recommend buying a gang valve with more outlets than you need and placing a cap on any unused nozzles. This way, if you ever need to run another airline, you won’t need to buy a new gang valve. Gang valves can also be made from metal, usually steel or brass. 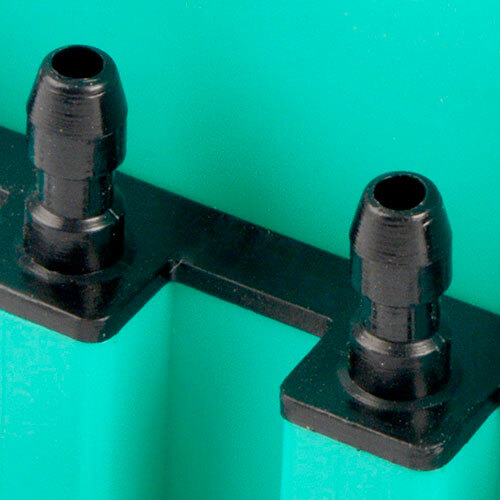 A metal gang valve is sometimes referred to as a manifold. For a small setup, I personally don’t recommend using metal gang valves – especially if you have a saltwater tank. Even in a freshwater tank, metal gang valves are still prone to rust and corrosion. 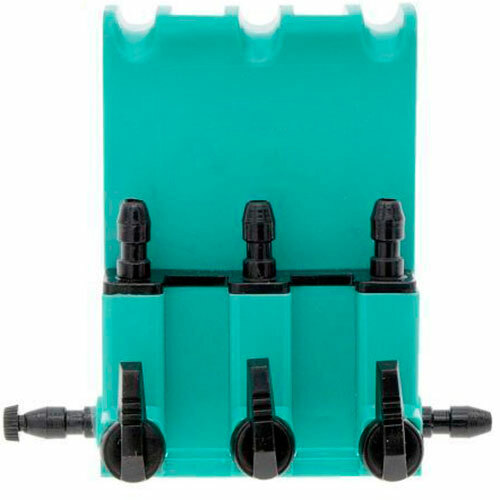 With that said, if you have an elaborate setup with multiple tanks and a large air pump, a steel gang valve can give a greater number of outlet nozzles, something that is limited on plastic gang valves. 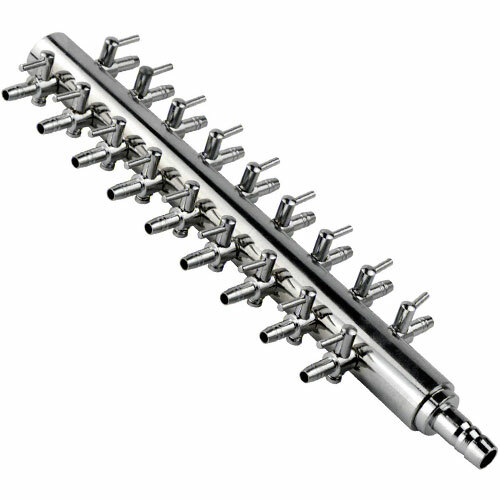 The manifold gang valve above has 18 different air tubes running off it at the same time! But for the majority of you, a plastic gang valve is both a cheap and effective solution to splitting your airline. 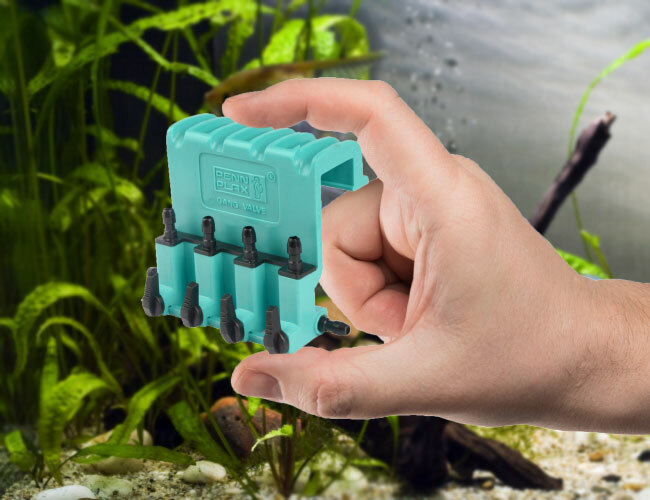 FishLab Tip: You can use a 2-way gang valve to create an effective bleed valve to protect your air pump from excess backpressure and extend its lifespan. I’ve tried quite a few different gang valves in my time, including Tetra and Accuair. 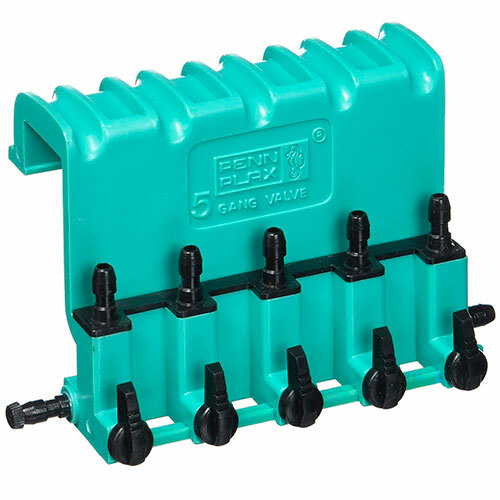 But when it comes to a gang valve that is both affordable and effective, I only recommend one brand – Penn Plax. It may not be fancy or expensive, but it definitely gets the job done! This is my go-to gang valve. It may be plastic, but it feels thick and sturdy, especially when compared to other gang valves. The hanger on the back fits aquarium rims up to 13/16 inches thick and allows you to neatly organize any tubes that run from the valve. For those of you with a standard setup, this gang valve will be more than appropriate. Do you use a gang valve to split the airline in your aquarium? Let me know in the comments below! Can i connect gang valves to another gang Valve? Using the same air pump. I have a fluval q2. Yes, you can. But you need to remember that an air pump can only power so many pieces of equipment. Even though the Fluval Q2 is on the powerful side, there will be air pressure lost at each joint and the depth of each piece of equipment also plays a role in how much you can run. Ok thank you. What air pump do you recommend ? I have 14 sponge filters running. I need an air pump strong enough to pump them all. If you go to my reviews section on this site, you will see I have tested over 60 air pumps to find the best one, as well as a rough estimate to determine how much air you need. 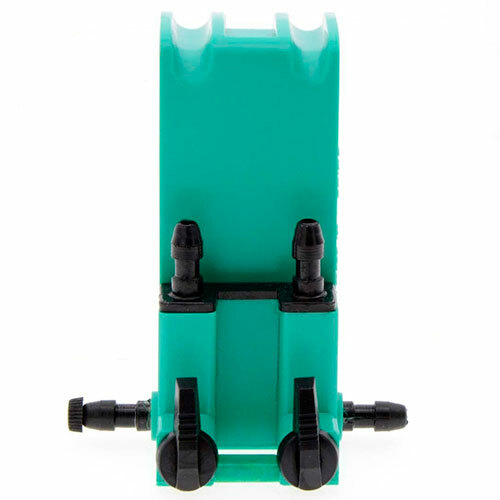 However, for 14 air pumps, you will either need multiple “aquarium” air pumps or a much larger pump designed for ponds and industrial uses, and those are darn noisey and typically not suited for indoor use on account of this. So helpful and thank you for the pictures.